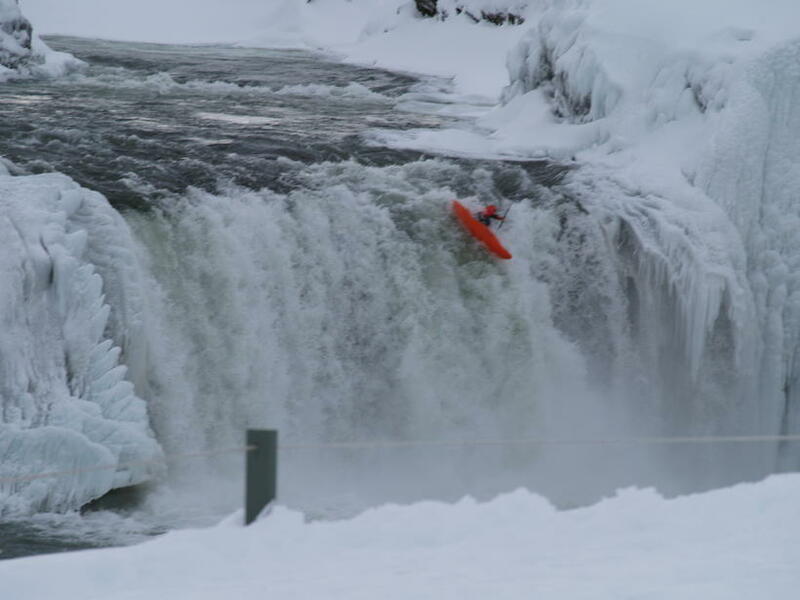 German adventurer Matze Brustmann is most likely the first individual to kayak his way down the Goðafoss waterfall in the middle of winter. This was reported by local news site 641.is. 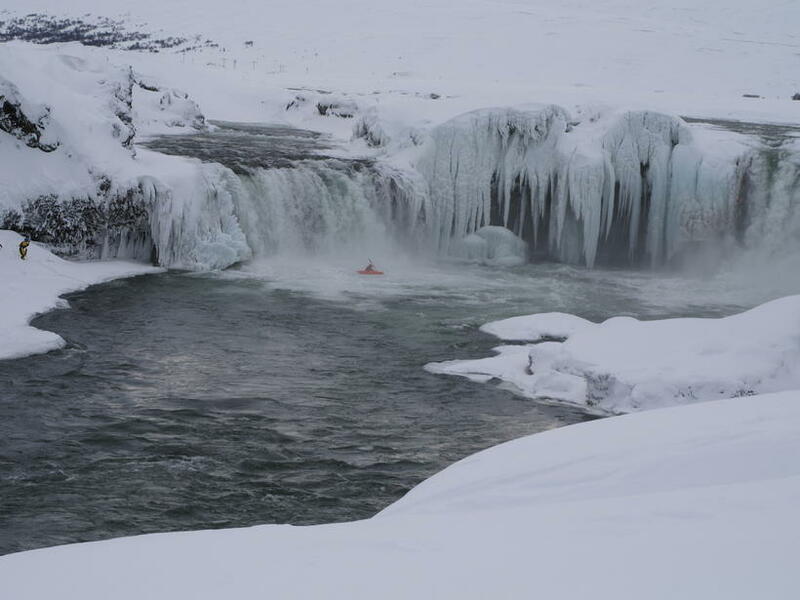 Icelander Vilhjálmur Grímsson was commissioned by Brustmann and his team to document Goðafoss in photographs before the kayaking attempt. "I then met with them at Goðafoss when they arrived and captured these photographs," Grímsson explains to Iceland Monitor. "People have kayaked their way down Goðafoss before but only during the summer as far as I know." He adds that a film crew documented Brustmann's adventurous descent. 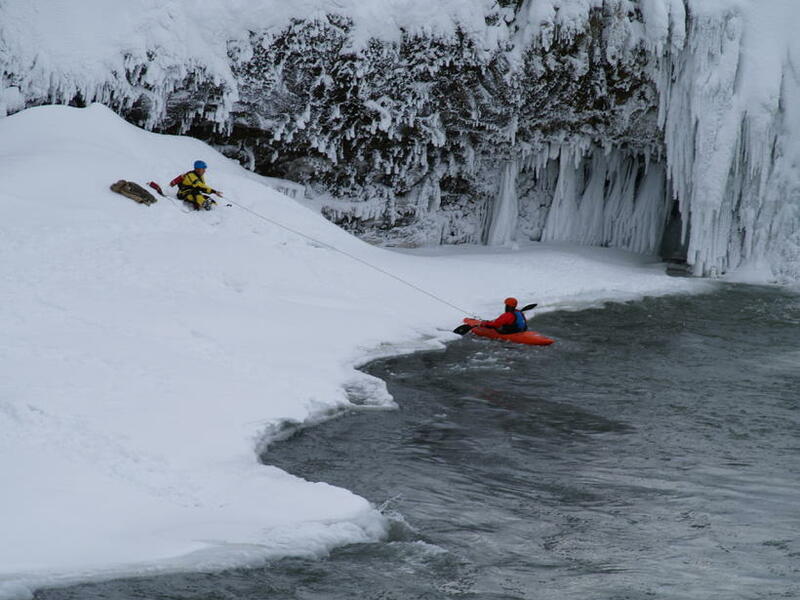 "He made the kayaking descent twice in the same day." Goðafoss waterfall is partly frozen at the moment and is renowned in Iceland for its beauty. The name Goðafoss means the waterfall of the gods. It's 30 metres wide and formed by the glacial waters of the river Skjálfandafljót as they cascade from a height of 12 metres.